Heat embossing is a tried and true method of adding subtle texture to your projects while providing the perfect means of containing your coloring. This week, let's take a look at how Melania combined embossing on vellum with her coloring method of choice. Watch the video below or click here (MFT September Release Class - Embossed Greenery) to watch it on YouTube. Don't forget to subscribe to our YouTube channel so that you don't miss a single tutorial! 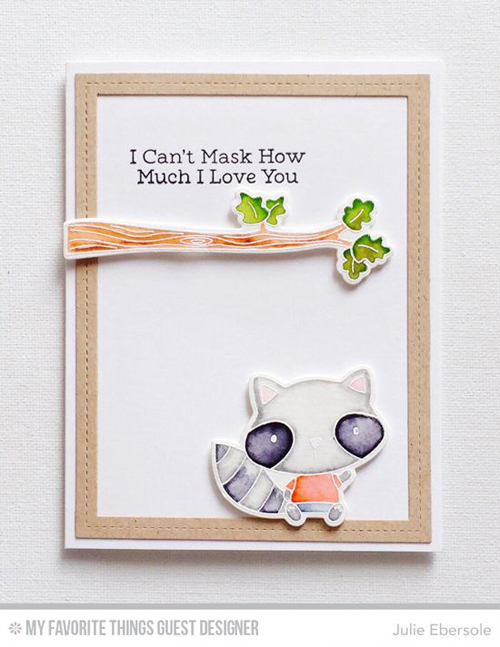 Let's take a look at more examples of integrating heat embossing into your projects! Heat embossing your sentiment - in this example from Francine, one included in the Fall Friends stamp set - can help make it pop in white against a darker background. 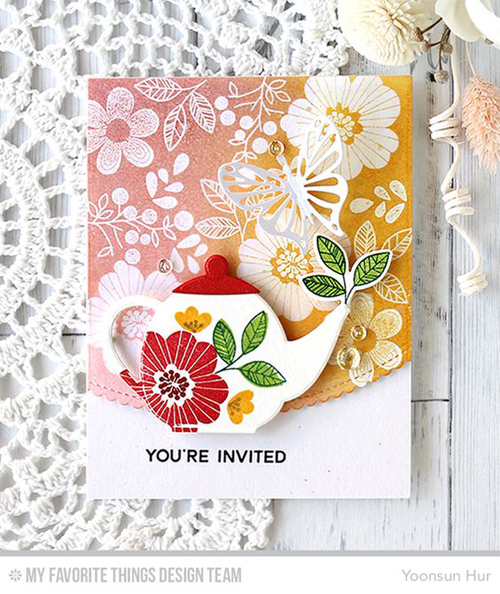 Using one of our rubber backgrounds or creating your own pattern like Yoonsun did with our Bold Blooms set combined with heat embossing provides the perfect resist surface for applying a beautiful blend of ink colors..
Our September guest designer Julie got into the act this month as well! 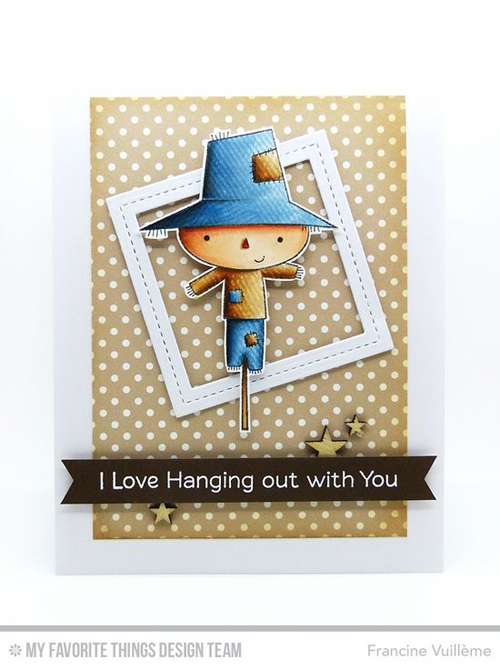 Harvest Buddies embossed in white provides a uniquely beautiful means of watercoloring - what a great effect! Feeling inspired? Grab a Versamark Ink Pad and some embossing powder to see where the inspiration takes your next project. These cards are marvelous. Each holding a treasure in their design and technique. Grand work, designers, thanks for sharing your talent. Cheers! I can't believe how much I am learning in each video. Thank you! I had a ball and made three cards after watching the video!!! Did this technique many years ago but with new stamps, dies and ideas I just had to play!